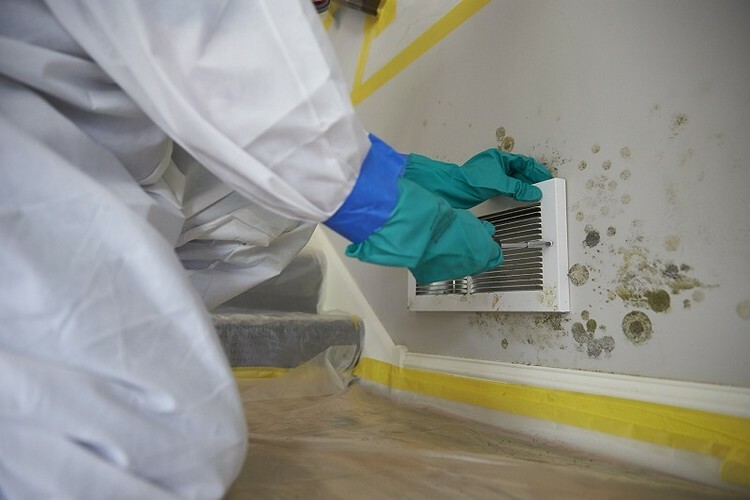 If you notice the presence of mold in your home or business, contact the industry leading mold removal experts, ServiceMaster Restore of Northern New Brunswick. We are here to help remove mold and prevent potential health risks and long-term damage to your property. Mold growth can occur following water damage or flooding. Fast, efficient action is essential for effective mold removal, and especially in the case of black mold. By eliminating the water source and implementing rapid drying, ServiceMaster Restore of Northern New Brunswickcan put a stop to toxic mold growth in your home or business. Make sure your living or work environment is healthy and free of toxic mold, by contacting ServiceMaster Restore of Northern New Brunswick for professional mold removal services immediately following any incidences of water damage, or as soon as you see mold or experience unpleasant musty odours in your home or business. Beginning mold assessment and removal procedures as soon as possible will prevent further damage to your property and potential health hazards. Contact ServiceMaster Restore of Northern New Brunswick today for professional mold removal services. You can trust our 65 years of experience and expertise in the mold remediation industry. We’re here to help prevent potential health risks and long-term damage to your property due to mold growth.